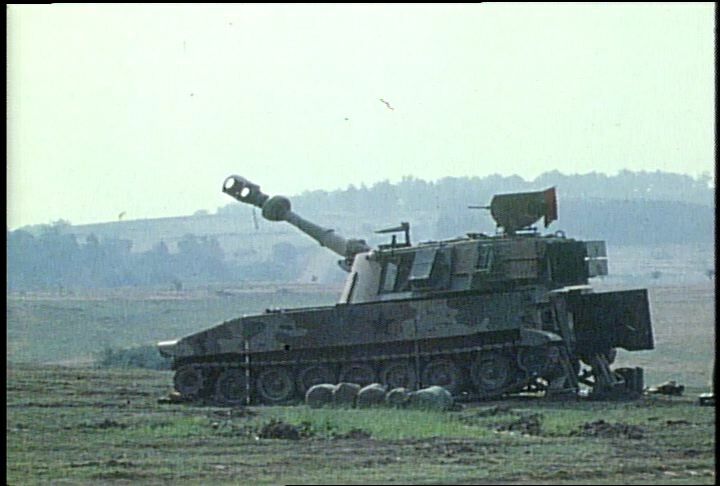 Various shots of 155mm self-propelled Howitzer tanks firing in field. Chicago: “War and Peace in the Nuclear Age; Zero Hour; 8th Infantry Division West Germany,” 08/23/1974, WGBH Media Library & Archives, accessed April 24, 2019, http://openvault.wgbh.org/catalog/V_36CB11F78C704CB6AB2F84ABF17F13B6. MLA: “War and Peace in the Nuclear Age; Zero Hour; 8th Infantry Division West Germany.” 08/23/1974. WGBH Media Library & Archives. Web. April 24, 2019. <http://openvault.wgbh.org/catalog/V_36CB11F78C704CB6AB2F84ABF17F13B6>.